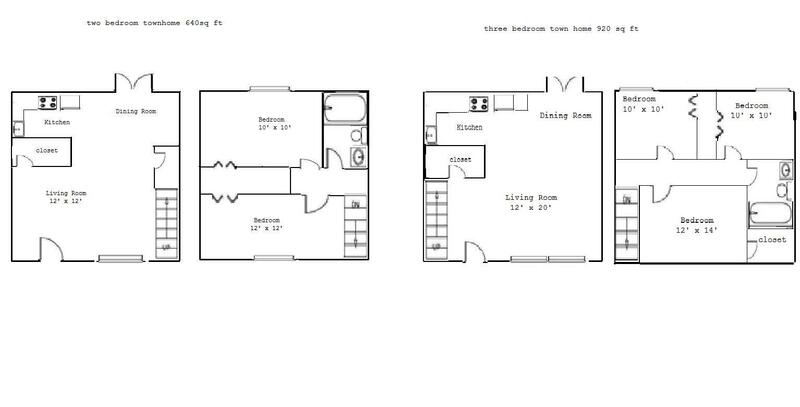 Two and Three Bedroom Townhome. 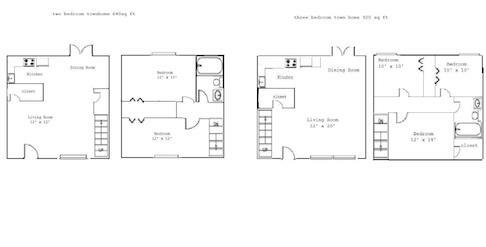 Floor plans may not be exact scale and may vary in specific units and are subject to change and/or modification. Prices are subject to change. Lease agreement constitutes the final contract.